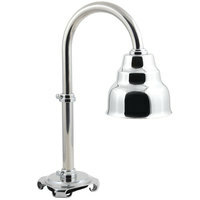 Keep food safe and hot with the Carlisle HL819500 39" single arm Flexiglow bulb warmer heat lamp. 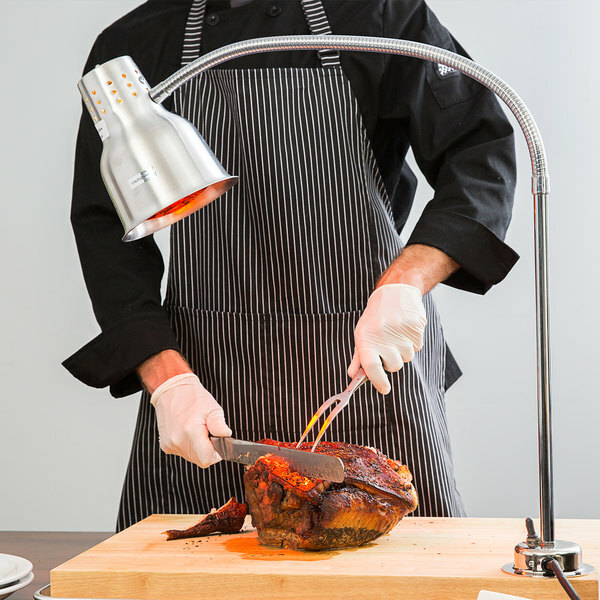 Outfit your hotel, banquet hall, carving station, or other food-service operation with this efficient and easy-to-use bulb warmer heat lamp! Not only is it made for longevity and performance, but it's designed with operator safety and convenience in mind. "This is a great heat lamp!! 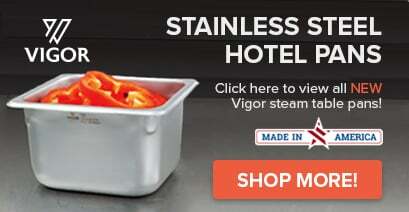 Good for carving stations! Can easily be mounted just about anywhere!! 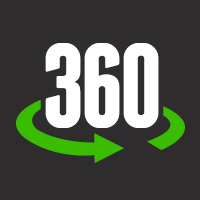 Great price that you cant beat anywhere online!!!" 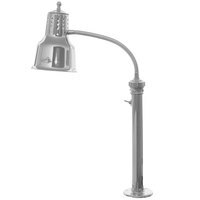 To ensure that it's reliable and long-lasting, this heat lamp is made of spun aluminum with a flared rim for added strength. 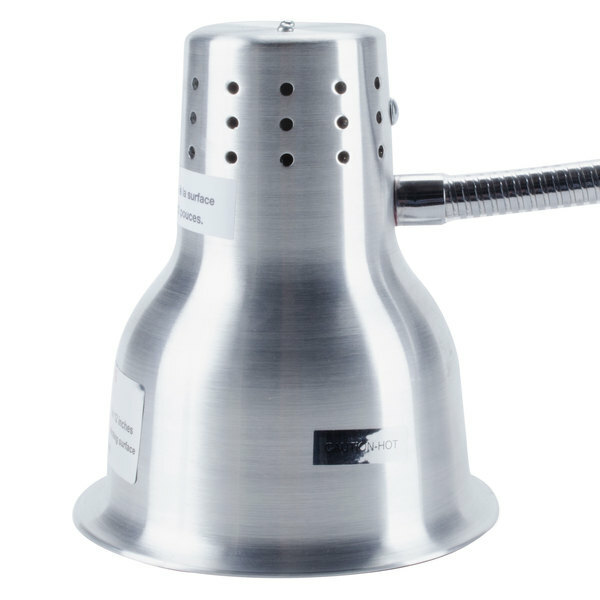 The drilled shade aids in proper heat dissipation for optimal performance. 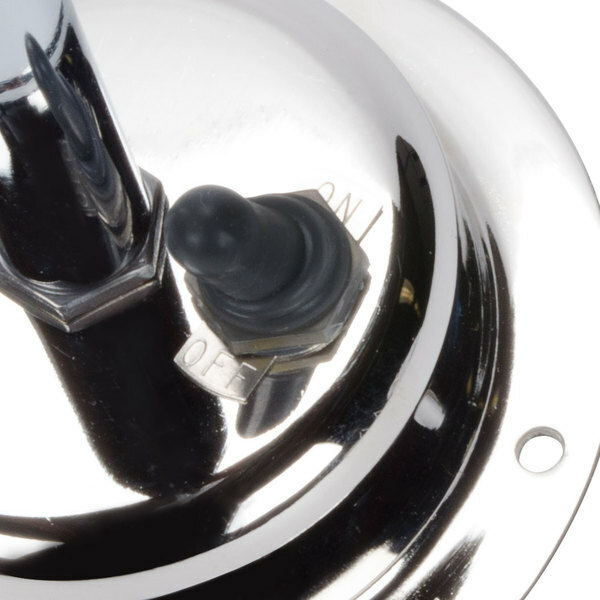 Designed to prevent fusing and ensure you get a long life out of your heat lamp, the sockets are ceramic insulated and furnished with a nickel-plated copper screw shell and contact point. 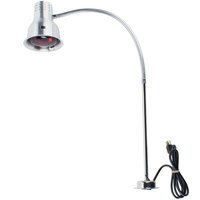 Plus, with 6' of durable, 16-gauge wiring, this heat lamp is built to last and can accommodate a number of work spaces. Braided and silicone-covered internal wiring add to this unit's durability. 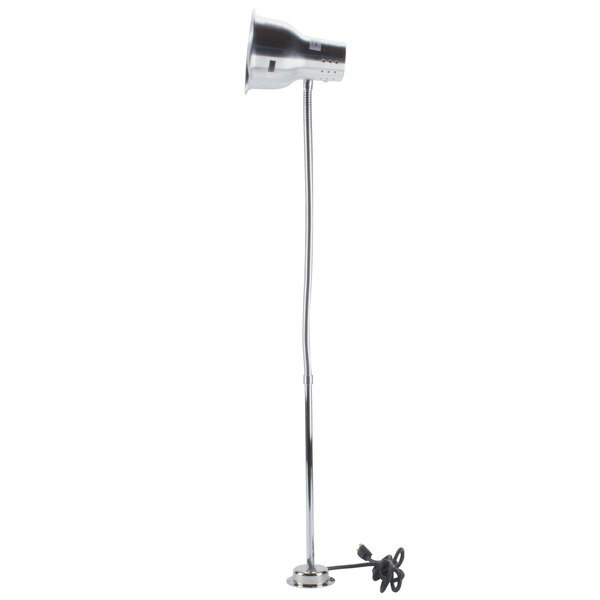 This heat lamp is quick to adjust to your space and food requirements, thanks to its long arm. With a 23 3/8" flexible section, this arm allows you to position the heat source directly over the food, tailoring it to your specific needs and keeping your food hot. 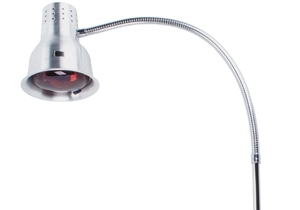 This heat lamp was also designed with worker safety in mind. 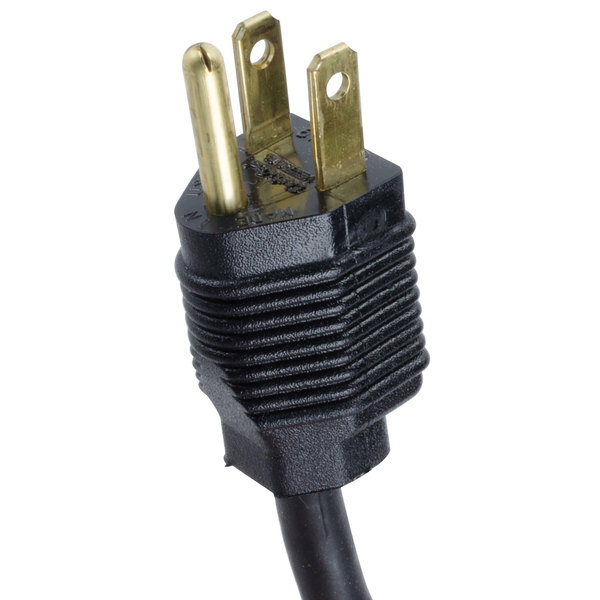 To prevent operators from scorching their fingers when turning off the unit, the on-off switch is intentionally placed a safe distance away from the heat source. 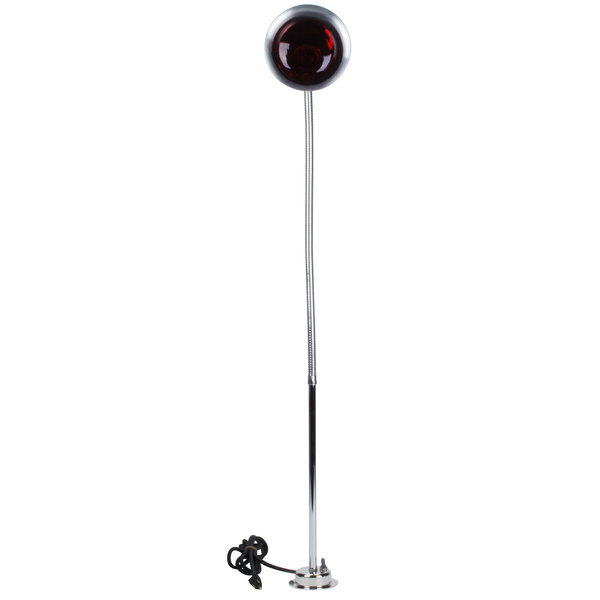 Perfect for use in banquet halls, hotels, or catered events, this heat lamp comes with a 250W red bulb for your convenience and immediate operation. 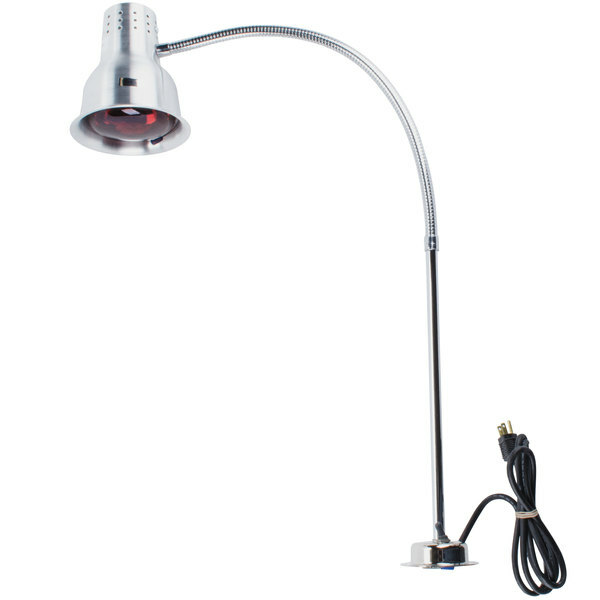 This heat lamp can be mounted to a cutting board, counter, or table top with 4 screws. 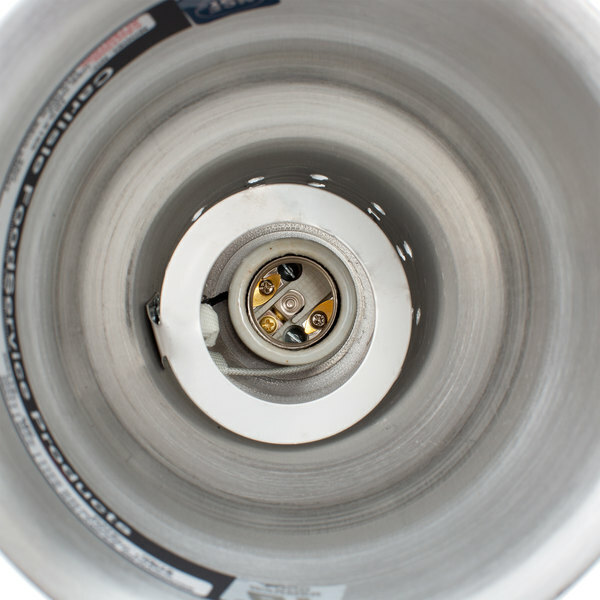 It may also be mounted with the optional Flexglow clamp, which is sold separately. 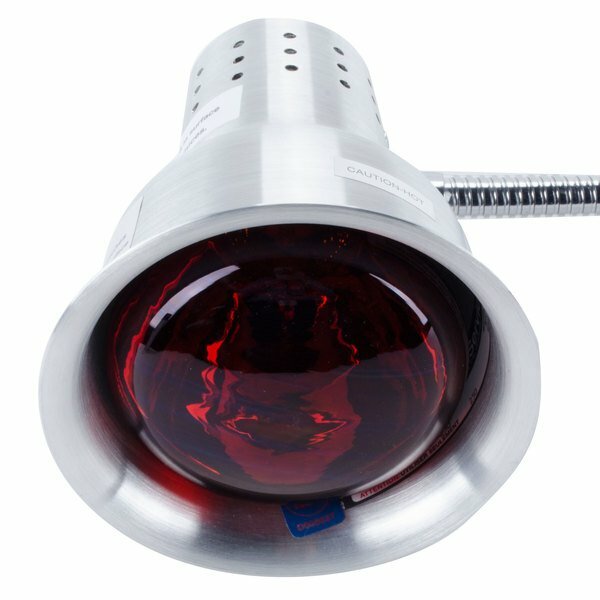 With safety, versatility, and superior performance in mind, this heat lamp is a lasting and quality addition to any kitchen, buffet line, or food-service operation. Does this come with mounting screws? No, these do not come with screws. 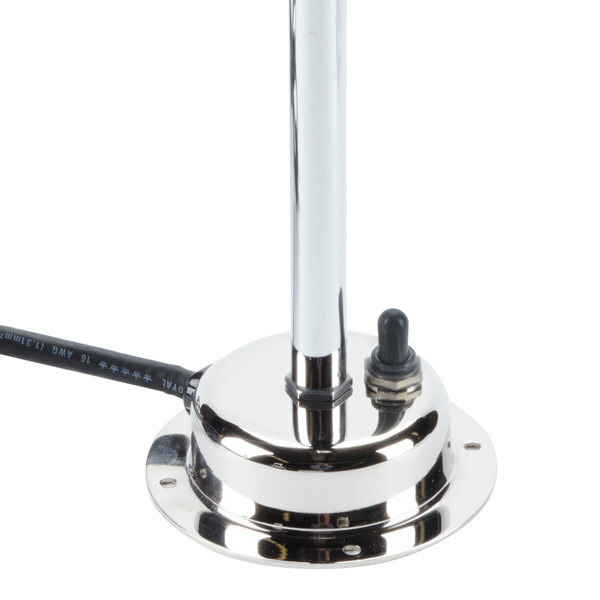 You will need to obtain a clamp or screws to best accommodate the surface you want to mount the unit on. The 1-Year Limited warranty is null & void in the event of misuse or abuse. I have bought a second one after years of use with my old one. Very pleased with this product. Neck is flexible and stays in the position you put it in. Cord is nice and thick. Caution!! Gets very hot! super happy with this heat lamp. It really fits our food running station. It does help keeping the food warmer. Even though it may just be a matter of seconds or minutes that the food sits. It does help the food not get cold sooner. This product is excellent for a party or banquet with a meat item. Keeps the meat nice a hot while not overcooking it. Top gets hot though so be careful. 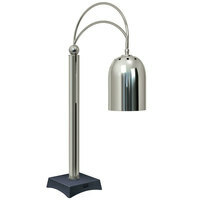 This is a great heat lamp!! Good for carving stations! Can easily be mounted just about anywhere!! Great price that you cant beat anywhere online!! !